A significant proportion of the population is likely to experience problems with their mental health at some stage in their lives, whether through stress, anxiety disorders, depression, or more serious diagnoses. Some estimates suggest around one in four adults will experience some form of mental health problem,- around 10% of children. Thankfully, much of the stigma around mental illness has faded away. We live in a time when modern and compassionate treatments are able to help people with even very serious mental health diagnoses to lead healthy and full lives. Most mental health problems can be managed and treated from the home. However, the law has a very important role to play in making sure that, where it is in the best interests of an individual and/or the public, individuals are able to be properly treated and cared for even if that means going against their wishes for a time. This guide sets out some of the background of the Mental Health Act, and answers some key questions surrounding the law and the treatment of mental health. See more of our guides on Mental Health. What Will This MENTAL HEALTH UK LEGal Guide Cover? Who can apply to have someone sectioned? What role do close relatives play when someone is sectioned? Can a detention order be challenged? Can a criminal court make a detention order? How long can a patient be detained without his or her consent? What rights do patients have with regard to treatment and therapy? Can a patient refuse emergency treatment? How can a patient detained for treatment be discharged? The Mental Health Act contains the law governing the treatment of people with mental health problems. It covers important matters including the definition of mental disorders, the registration of mental health professionals, and the treatment of people with mental illness in the community. Importantly, it also details the ways in which people can be detained in hospital for treatment, even if it is against their will. Most of us will have heard the term ‘sectioned’, but are not sure precisely what this means. The term comes from Sections 2, 3 and 4 of the Mental Health Act. These sections set out how a person suffering from serious mental health problems can be assessed, detained and treated against his or her will, if it is deemed to be in his or her best interests and the interests of the public. Under Section 2, a person can be detained to enable an assessment of his or her mental health and the treatment they need. Is suffering from a mental disorder that warrants detention in hospital for assessment for at least a limited period. Ought to be detained for his or her own health and safety, or to protect others. Medical treatment may be given under Section 2 even against a patient’s will because response to treatment forms an important part of the final recommendation. 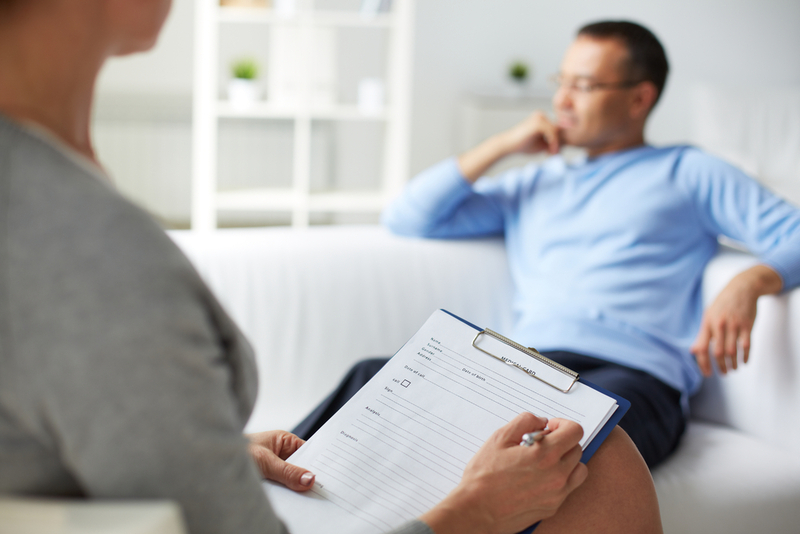 Following the assessment, a full report making a recommendation for treatment will be passed to an Approved Mental Health Practitioner (AMHP), who has legal status as a senior practitioner with extensive experience of working with people with mental health problems (he or she may be a social worker, a nurse, or another professional). If the AMHP concurs with the recommendation that the patient should be detained in hospital immediately for treatment, the patient can be further detained in hospital under Section 3. Section 3 is a treatment order, and can last up to six months with options to renew the order for three-month periods thereafter. Is suffering from a mental disorder that makes it appropriate for him or her to be treated in hospital. Has the appropriate medical treatment available to him or her. Section 4 allows for an emergency detention order, and is rarely used. It requires only one doctor and one AMHP to make the order, and is reserved for urgent situations when there is no time to find another doctor to make an assessment. A Section 4 detention will last only 72 hours, and would then revert to the usual practice of making an initial assessment under Section 2. The Mental Health Act gives AMHPs the power to apply to have someone admitted to hospital for treatment, even if it is against his or her will. In addition to looking at medical reports prepared by doctors making an assessment, the AMHP will also usually interview a patient and satisfy themselves that a detention order is the most appropriate way of getting the patient the treatment he or she needs. The AMHP will also consult an individual’s closest relative. Close relativesdo have the power to apply to have someone detained for treatment, but it is established best practice that it should be an AMHP who makes the application. Importantly, if a near relative objects to a Section 2 application, he or she cannot prevent it from going ahead; whilst if they object to a Section 3 application, it cannot continue. In these circumstances, the AMHP will have to apply to court for an order removing the powers of veto from the nearest relative, enabling the section application to proceed. There may be instances where it is not possible to contact a person’s nearest relative in order to consult with him or her about a section application. In this case, the Act allows an AMHP to proceed with an application providing it is not ‘reasonably practicable’ to consult a relative. Challenging a detention order is very difficult whilst an assessment or section application is being made. It would involve challenging the medical opinion of the doctors involved. However, once admitted to hospital, there are various ways of seeking a discharge, which this guide will explore. The idea of the police being involved in arranging for someone to be detained for treatment can be alarming. However, it is important to remember that they are there to help prevent any harm coming to the patient, and to ensure he or she receives the most appropriate treatment as soon as possible. The police may be involved if there are concerns that an individual is very unwell in a property, and will not permit anyone to enter. Under these circumstances they may apply for a magistrates’ warrant to enter the premises and take the person to a place of safety. Under Section 136 of the Mental Health Act, the police may step in if someone is in a public place, and ‘in immediate need of care or control’. Sometimes a police station may be used as a place of safety before a patient is taken to hospital for assessment or treatment, but this is only done under exceptional circumstances. Part 3 of the Mental Health Act covers circumstances when a criminal court may make a detention order, for example when the behaviour of someone suffering serious mental health problems leads him or her to criminal behaviour. A Crown Court can make a hospital order either after someone has committed a crime, or if there are serious concerns a crime may be committed. The magistrates’ court can make an order for someone to be detained in hospital if it is satisfied that an individual has committed the crime as charged, and that he or she is suffering from a mental disorder. To make detention orders, the court requires evidence from two doctors that the individual meets all the necessary criteria to be detained under the Mental Health Act. The longest a patient can be detained under a Section 2 assessment order is 28 days. However, there are some circumstances where the detention might be longer, for example if an application is being made to the courts to displace a close relative objecting to a Section 3 application. If, during the 28-day period, a doctor decides that a patient no longer meets the requirement for a Section 2 detention, he or she may be discharged. However, the patient’s lead doctor – known as a responsible clinician (RC) – and AMHP may decide to move on to apply for a Section 3 detention order, which they would need to do before the 28-day period had elapsed. Patients detained under Section 3 of the Act can be held in hospital for treatment for up to six months after the order is made, though this may be shorter if the RC concludes that the legal requirements for detention are no longer satisfied. If after six months under a Section 3 detention order a patient still meets the requirement for a Section 3 detention, an application can be made to renew the order for another six months, and thereafter for one year at a time. Various people will be involved in an application to extend a Section 3 detention. A patient’s RC must confirm that the legal criteria for detention are met, and another person of a different profession involved in the patient’s treatment must agree that the Section 3 order should be renewed. The Act sets out a patient’s rights with regard to the treatment and therapy he or she may be subject to when detained under various sections of the Act. Under a Section 2 assessment order, treatment can be given to observe and assess the effects of medication on the patient’s symptoms. The patient will usually be asked to take treatment voluntarily, but, if necessary, medication can be given against his or her wishes. Under Section 3, a patient may be treated without consent for a period of up to three months. After this time, if the patient is still not consenting, a second opinion appointed doctor (SOAD) will need to recommend that the treatment programme is appropriate and should continue. There are some important provisions for certain kinds of treatment. Electroconvulsive therapy (ECT) can be given with a patient’s consent (with the approval of a SOAD), or if the patient does not have the capacity to make a decision about treatment. The doctor on the panel of experts signs a certificate confirming that the treatment should be given, having first consulted a nurse, and a professional who is neither a nurse nor a doctor, and who has been involved in the patient’s treatment. Under certain conditions, the law allows a patient to be given any treatment even if they do not consent, if that treatment is considered ‘immediately necessary’ to save the patient’s life or prevent ‘serious deterioration’ of his or her condition. Such emergency treatment may include ECT, but is unlikely to include neurosurgery. At each stage, the key test will be whether the patient still meets the legal requirements for detention under the Mental Health Act. A Mental Health Tribunal is a critical element of the legal framework for treating people with mental health diagnoses. The panel can decide whether a patient detained under the Mental Health Act can be discharged. It will not debate whether the patient should have been sectioned in the first place, only whether he or she should now be discharged. The panel will be chaired by someone who is legally qualified and understands all the aspects and applications of the law. There will also be a psychiatrist, and a ‘lay person’ with appropriate qualifications and experience in mental health matters. A Mental Health Tribunal might make a range of decisions after the hearing. It may order a discharge from hospital, order transfer to another hospital, or make recommendations for guardianship or continued treatment and therapy in the community. Once a patient has left hospital, they are not left to pick up life after a period of serious mental illness without adequate support. Part 4A of the Mental Health Act allows an RC, with the support of an AMHP, to make a community treatment order (CTO) placing certain conditions on a patient’s discharge, to help ensure that the patient will continue to receive adequate appropriate treatment. The CTO may come with certain conditions, including the patient being available for medical examinations or being willing to talk with medical professionals. If a patient does not meet the conditions of a CTO, or if it appears the conditions required for a Section 3 detention have been met again, he or she may be recalled to hospital. A CTO can last up to six months after it is first made, and after that time a patient can no longer be recalled to hospital. However, the RC may apply for the initial CTO to be extended. The law allows patients to be detained in hospital without their consent, if it is in their best interests. Patients may be treated against their will. A detention order can last up to six months after first being made, and may be extended thereafter. Many professionals will be involved in making decisions in the best interests of the patient, including medical professionals and others. There are key conditions which must be met if a patient is to be detained in hospital. Patients can apply to a Mental Health Tribunal to be discharged from hospital. After release from hospital, patients may be subject to a community treatment order.